Can the miracles we read about in the scriptures prove the Divinity of Jesus? Can we prove they actually occurred? We can – and do. What was unique about His miracles? Is there any historical evidence, outside of the scriptures, that verify Jesus was a real person who lived in the first century – and what he did? There are, in fact, several. What do we really know about the Resurrection? 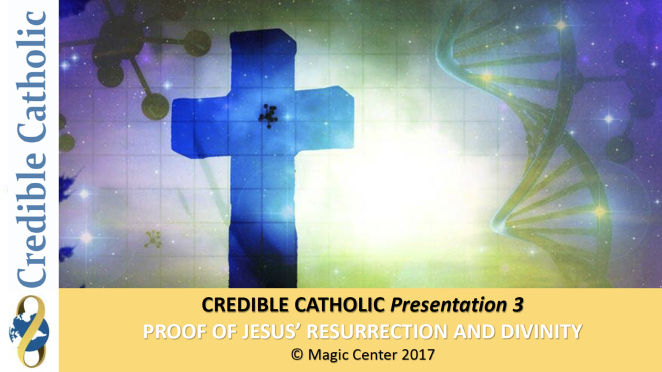 Let’s examine what we know about the Shroud of Turin through scientific studies. They tells us a great deal. One popular myth claims Jesus’ disciples stole his body. Is that likely? Why did the early Christians leave the Jewish faith? What fueled the growth of the early Church?